What Is The Difference Between UPVC And Composite Doors? PVC stands for polyvinyl chloride (PVC), which is a chemical compound derived from chlorine, hydrogen and carbon. The “u” stands for un-plasticised, which means that chemicals known as plasticisers have not been added to the PVC to soften it. PVCu doors are considered modern alternatives to wooden doors, and are much cheaper than installing doors made from wood. Being more affordable and providing many benefits, PVCu doors are easy to maintain and thermally efficient. However, there are drawbacks. Strength is a major problem for PVCu doors – as opposed to composite doors; they are prone to sagging and sashing due to their lightweight frame. Furthermore, PVCu doors are not as customisable. However, PVCu doors are weather resistant. These doors do not rot or decompose when exposed to moisture – and therefore require less maintenance. Only a wipe down is required due to their weather proof and rigid capabilities. From time to time, frequent oiling may be needed for locking mechanisms. PVCu doors are renowned for the high level of insulation provided. PVCu doors keep you warm during the winter season, and are also soundproof. They help to cut noise levels considerably. Choose PVCu doors for a peaceful night’s sleep. Your choice of door in terms of appearance may depend on your home. A PVCu door will look out of place on a traditional house that has character. PVCu doors often lack such character as opposed to wooden doors. Imagine it – a white, plastic door stuck on a traditional cottage. As opposed to the range of colours and surfaces that composite doors come in, PVCu doors are typically sold in plastic and therefore unsuitable on many homes. PVCu doors are durable and will never lose shape. Being highly resilient and long lasting, it is highly unlikely that you will need to change your door again – a bonus for your wallets. PVCu doors are significantly less expensive than many other doors – especially composite doors. With the low maintenance, durability and affordable upfront cost, PVCu doors are an economical method of securing your home. For the strongest, most durable door, choose to invest in a composite door. Made from a combination of durable materials, which have been selected for their beneficial purposes, the possibilities of a composite door are endless. Strong and sturdy, highly secure and thermally efficient, composite doors are a compelling choice. A sturdy doorframe and tough materials form a door that proves a rigid entry. A composite door has locks at various multiple points at various heights, making it highly secure. Composite doors will relieve you and your family of the fear of burglaries – allowing you to sleep at night without worry. Composite doors also offer incredible insulation performance. No more losing heat and therefore no more losing money – composite doors ensure that all heat is kept inside. 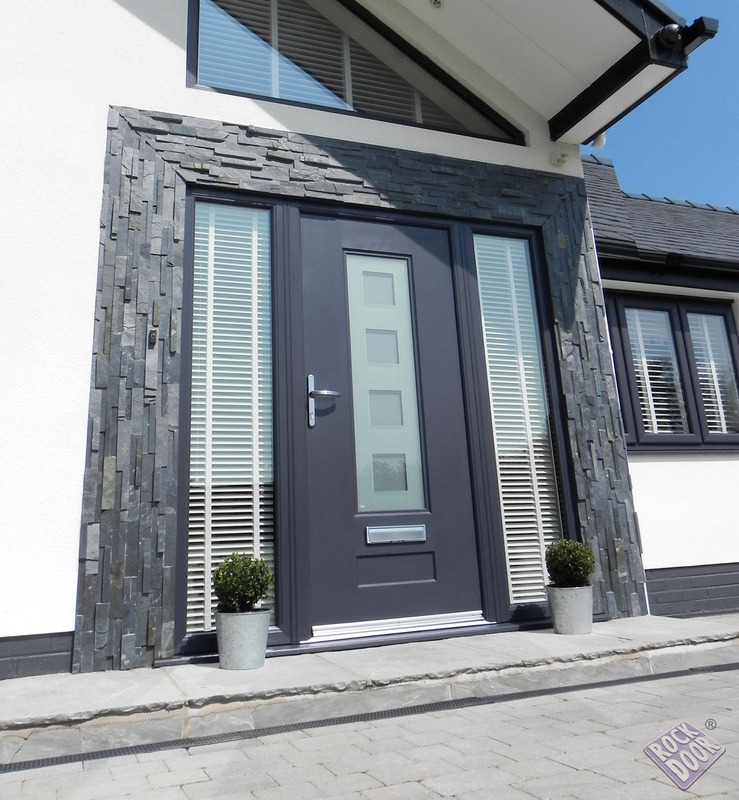 As opposed to PVCu, composite doors are available in a range of different colours and surfaces to suit all homes. Your sturdy, insulated doors will be an asset to any house that you live in – whether it’s an old, traditional home with character or the latter. Similar to PVCu doors, composite doors are weather resistant and will maintain their shape in all conditions. In extreme temperatures or in rain, snow, or wind, composite doors will not warp, dent or bow. They are therefore durable and require little to no maintenance, apart from a wipe down from time to time. The benefits that a composite door will bring to your home are endless. However, as a result of the quality, such a door is expensive. Although no maintenance costs and highly energy efficient, composite doors cost a lot – and may be out of many of your budgets. That being said, many composite door owners will agree that they are an investment worth being made. Both PVCu and composite doors will provide many benefits. Composite doors may suit a family with a higher budget, whereas PVCu doors are of a sufficient quality for an affordable price. Consider the factors that you value most. Is security important in your home? Do you like having a choice in colour and styles? Our tips can make your door search easier, and help you find your dream door to complete your home. Strength is a major problem for PVCu doors – They will deteriorate much faster than a composite door as they have not been structurally designed for heightened security, instead are built for standard homes. What is the difference between a PVCu and composite door? Choosing your front door is a difficult decision. With the many choices on the market today (and the varying information on every site), you may be left feeling confused. 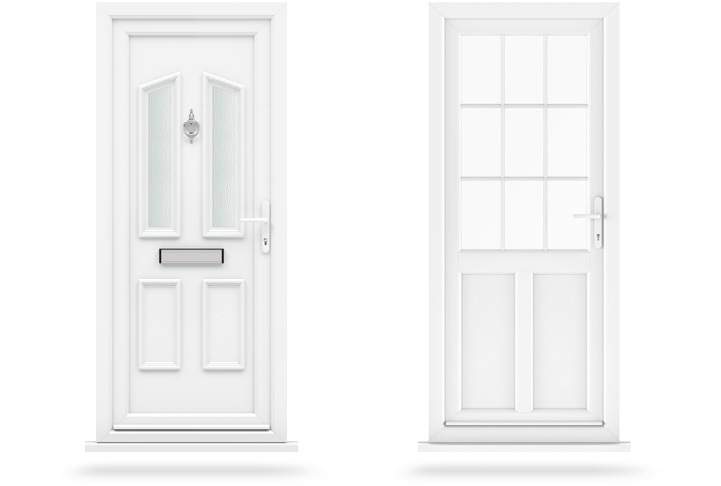 Throughout this blog, we aim to provide you with an honest, non-biased comparison of the two, popular doors that we sell. Having many differences but also many advantages, our composite doors and PVCu doors will be compared in uses and disadvantages, making it easier for you to choose a door most suitable for you and your home. Your door is an important feature of your house. As well as being highly secure and strong, the aesthetics play a significant role. Both PVCu and composite doors are admirable – in which both can be coordinated with your windows for a more complementary touch that your neighbours will be in awe of. All PVCu and composite doors are sold in different colours, allowing you to choose the door of your dreams in a colour that you desire.